I do quite a bit of running but it is only recently that I decided to take stock on what I bring along for something as simple as a run. I used to laugh at people at runs who are armed to the teeth with gadgets but uh-oh. I just realised I am not very far away from these folks. So let's take stock of the stuff (on top of the essential shirt, shorts, socks and shoes that is) that I carry from the toe up. I have no pockets in my running shorts and so the shoe wallet, though ugly, is a nifty little thing to carry my house keys and a little bit of money for emergencies while I run. Given this day and age, your mobile phone goes everywhere with you, the shoe wallet would be inadequate as you can't run with a mobile phone on your foot, now can you? So instead of a shoe wallet, I got myself a runner's belt that cost me RMB 35 (about SGD 7.00) just so I can put my mobile phone in. These days mobile phones have running aids like trackers and GPS to give you a better analysis of your run. It also doubles up as an MP3 player. I was tempted to keep your shoe wallet on coz I was worried that the keys might scratch my phone if there were put inside the pouch together and jiggled together for the next 10km. Then I thought otherwise against the idea of getting carried away with carrying (no pun intended) everything but the kitchen sink, just for a simple run. With all due respect, I find people who strap their mobile phones or MP3 players to their arm damn bladdy dorky. So no. A runner's belt discretely hidden under my tucked out tank top. 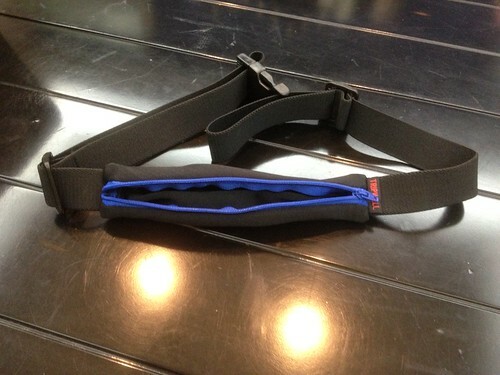 I have a water belt for runs above 10km, which I have given it to nadnut on a permanent loan basis. The one good thing about water belt is that you do not need to stop at water points on runs which essentially translates to easily overtaking 30 to 40 people at every water point AND to gloat over these poor sods fighting over miserable cups of water or 100-plus or H20 isotonic or whatever. So with a water belt and a runner's belt, it is one or the other. For sure. I run with music. There is another school of folks who are against running with your ears plugged in. They say you won't be able to hear your own breathing, pacing etc. Well, I am not that pro and so I need my music to keep me distracted while I zoned out into yonder. I got the Creative Zen during one of the office Secret Santa's gift exchange thingie. I loved it. It is small, and best of all, it has a clip that allows you to hook it onto your shorts. And Yes. It is light lest it weighs down your entire shorts down to your ankles. While. You. Run. The only bad thing about the Zen is that it has only a capacity of 1 GB which means for a person who runs very often, you run out of songs to listen to very quickly. Enough of that. Let's talk about the earphones. I have this PMX-80 Sports. It is over-the-ear and back-around-the-neck which means it will never drop off your ears when you start to do some really serious perspiration. Then when you are not listening to music, you can easily just hang it around your neck. The cord is rubber insulated and so you don't have to worry about your sweat soaking into the cable. 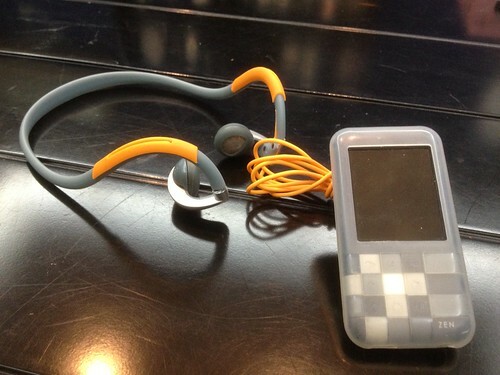 As I have said earlier, the mobile phone now doubles up as an MP3 player and so my trusty Creative Zen is now retired. The heart rate monitor is for safety precaution. I have read so many news about people in their prime suddenly dropping dead during runs. While doctors were never conclusive, my suspicion is that these unfortunate souls did a Juan Pablo Montoya i.e. engine blow. 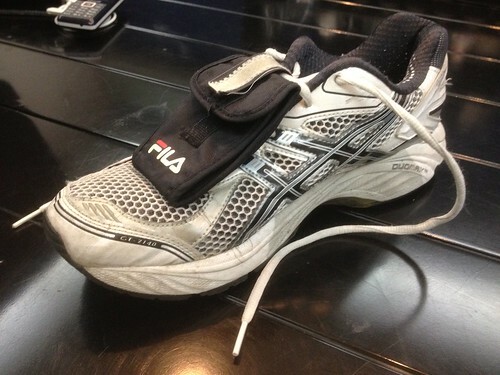 Hence, the heart monitor to keep a check on my heart rate while I run. Regardless of how good I am feeling, as soon as it hits 180 and above, I would slow down my pace or even stop just so I get my heart rate down to a more adequate level. Better to stay on the safe side. Before I go on, I want to say. Polar. Never. Again. 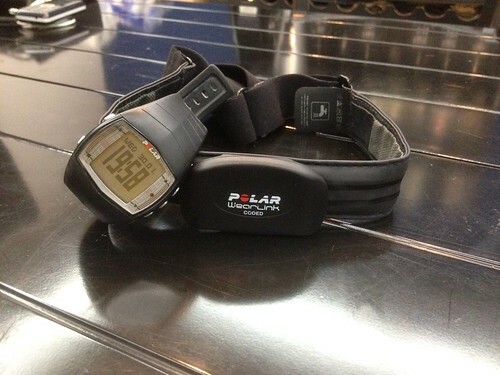 Having such great user experience with the first one, I bought another Polar as a replacement. I sent it back for repairs 5 to 6 times and was in vain. I wasn't able to resolve the problem of the watch losing signal somewhere after the 6th kilometer. I changed everything from the battery to the transmitter to the watch motherboard(?). Still the same problem. I was so exasperated with the incompetent service staff at Amoy Street, that I threw away the watch in angst (though it was very satisfying to hear the watch bounced from wall to wall down 8 floors of the rubbish chute). I got another Polar (the FT-40 that you see in the picture is my fourth. I gave my third one away) thinking that I got a lemon previously in a barrel of apples. I. Was. Wrong. 我. 错. 了. This current one has the same problem. After running a few km, it cannot find my heartbeat. WTF? Here's the thing. It's ok actually if you are a short-distance runner. But for me, my normal runs go beyond 6km which means, I get grief with every run. In any case, I am on the look out for a replacement HRM. One that is not Polar. Feel free to recommend. 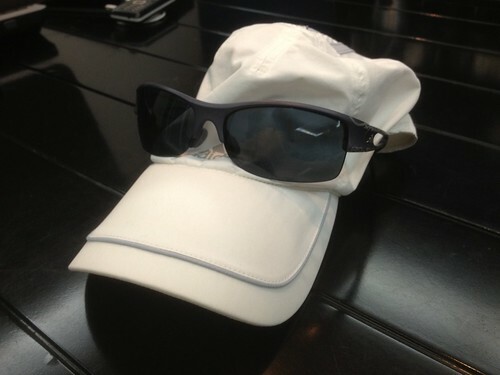 While the shades are optional, the cap is a must. Not so much to give me shade from the sun but more to hold my hair away from my face as I have quite a long fringe. It is really irritating to have your fringe constantly slapping into your eye with every step. Ok. Enough about me. To my fellow readers who also run. What's your gear list like? Arrenn: Do considering getting out there for a outdoor run. It is a vastly different experience from the usualy hamster wheel. The shoe wallet is very secure. The way the wallet is folded and velcro-ed. You won't have things falling out without you noticing, if falling out acutally happen at all. JY: There I've said it and I'll say it again.